A Bulldog type Labor rampages through a tightly packed residential area in Tokyo. The perpetrator demands better rights for Labor pilots and begins to stream his demands and his whole rampage on a local streaming website. 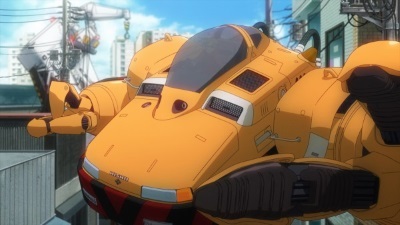 The Tokyo Metropolitan Police Force’s Special Vehicles Unit 2 (SV2) move in with their Ingram Labors but aren’t making any head way. They soon realise that the usually sluggish Bulldog Labor, used for construction work, has been modified with far superior leg parts. While the captain authorises to take down the Bulldog Labor regardless of the damage caused (over a dozen houses have been trashed even before the SV2 arrive), it’s soon apparent that they will need back up. 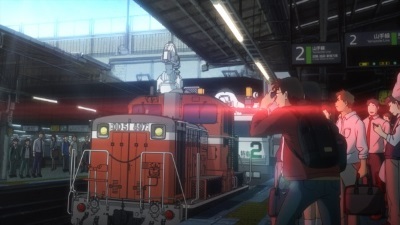 A second Patrol Labor unit is sent via the civilian Yamanote train line. 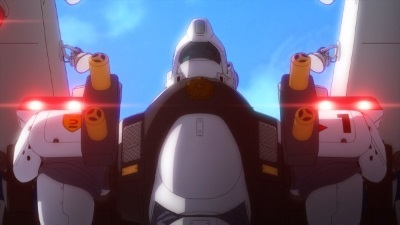 But before it arrives, the order is given to use the Revolver Cannon, something which the pilot has reservations about. Announced on 29 July 2016, this 8 minute short screened as an extra feature as part of the "Screening of Go Go Japan Anima(tor)'s Exhibition" compilation film of Japan Animator Expo (aka Japan Anima(tor)'s Exhibition) short films. 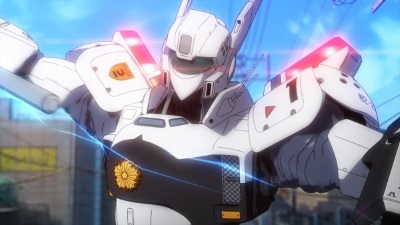 These films are part of weekly series of original net animations which are a collaboration between Studio Khara (set up Hideaki Anno to produce the "Rebuild of Evangelion" film tetralogy) and telecommunications company Dwango. 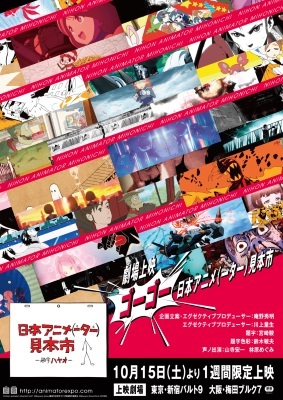 The films are created and directed by various anime directors and are streamed worldwide on Japanese video streaming website Niconico. 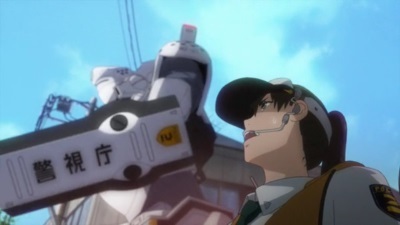 Yasuhiro Yoshiura ("Time of Eve", "Patema Inverted") directed and storyboarded the short. He also wrote the screenplay with Kazunori Ito. Naoyuki Asano ("Mr. Osomatsu") provided the character designs based off Masami Yuuki's original designs. Kenji Kawai provided the music and Yutaka Izubuchi is credited with mechanical designs. 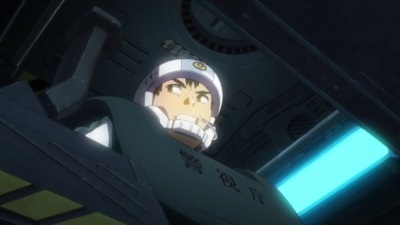 Megumi Hayashibara (Rei in "Evangelion", Lina Inverse in "Slayers") and Koichi Yamadera (Spike Spiegel in "Cowboy Bebop") are credited as voice actors in the short, however none of the characters seem to have names. "Screening of Go Go Japan Anima(tor)'s Exhibition" screened from 15 October 2016 to 21 October 2016 only at the Shinjuku Wald 9 cinemas in Tokyo and Umeda Burg 7 cinemas in Osaka. 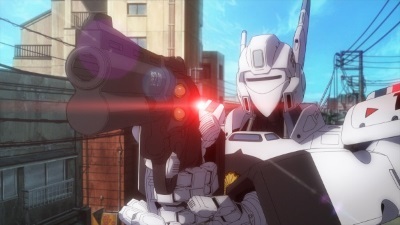 Cinema patrons could buy a special theatre only edition of "Mobile Police Patlabor Reboot" on Blu-ray in cinemas. 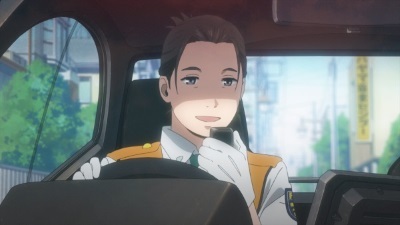 The following week Bandai Visual released retail versions of the short on Blu-ray and DVD. 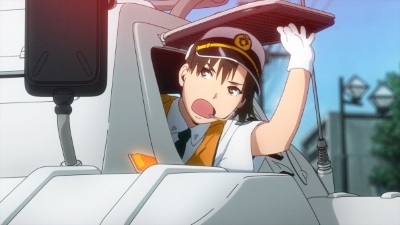 This is the first time one of the Japan Animator Expo short films has been released to physical home video. The Japan Animator Expo website streamed the short for free in Japanese with optional English subtitles from November 2016 to February 2017. Below is a selection of images from the short. This short was released on DVD and Blu-ray in Japan from Bandai Visual and comes with optional English subtitles. The DVDs and Blu-rays are only available in Japan, and therefore will only work on DVD players that are both NTSC compatible and will play region 2 discs and region A Blu-ray discs (if you don't live in Japan, check your DVD or Blu-ray player's instruction manual to see if it will play the discs). Please see the Japanese Specials and Oddities Releases Video List for a complete listing of all releases, formats and product specifications of the short. 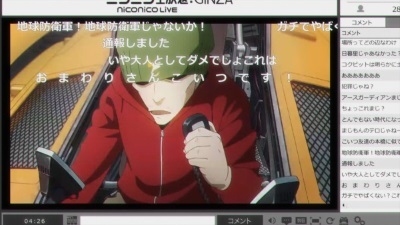 The Japan Animator Expo website also streamed the short for free in Japanese with optional English subtitles from November 2016 to February 2017. It is unknown if they will stream the short again. 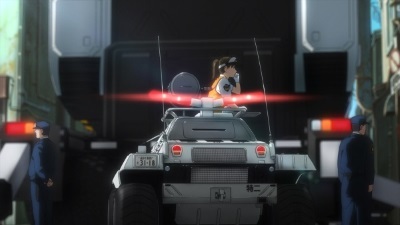 This short was released on DVD and Blu-ray in Japan from Bandai Visual and comes with optional English subtitles. The DVDs and Blu-rays are only available in Japan, and therefore will only work on DVD players that are both NTSC compatible and will play region 2 discs and region A Blu-ray discs (if you don't live in Japan, check your DVD or Blu-ray player's instruction manual to see if it will play the discs). Please see the Japanese Specials and Oddities Releases Video List for a complete listing of all releases, formats and product specifications of the short. A GWEI Product. ©2003 - 2018 GWEI. 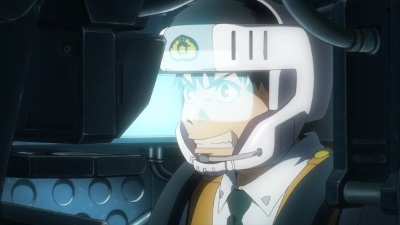 The Mobile Police Patlabor Reboot ©2016 Headgear/Bandai Visual•Khara. All other logos/trademarks are copyright of their respective owners/companies. Used for review and illustration purposes only.